In recent years, more and more often we hear that the magic and if there was once, but now finally degenerated: disappeared as unnecessary. Why shaman to disperse the clouds with the help of an elaborate ritual, if today it is easier to do using special reagents? Why conduct the rite of love, if you can bewitch a man using NLP (Neuro-Linguistic Programming)?That's right. However, naive to think that science has replaced magic. On the contrary: the magic in the modern world has become more sophisticated. They say that before the basics of magic and witchcraft owned ordinary people. For example, every woman knew what grass soothe the child, which will help relieve the pain or sleep. Today, these knowledge held by only healers. Tips from the series "Me, Myself, herbalist" not take into account. And the grass, to be honest, are not the same. The world has changed, people estranged from nature. But magic and changed. And it happened not yesterday. For some reason, the development of physics and mathematics, writing and literature, architecture, painting, psychology, medicine is considered completely natural. But the magic art in the understanding of the majority - is immutable, archaic. However, the magic has evolved over thousands of years with the man. Along with the science, if you like. The simplest example. Long ago shamans and sorcerers used in their rituals only wood and stone attributes. And of course, magic herbs. Magicians of the past that was enough. They communicated with the spirits, to lead people into a trance, banished disease, referring to the wooden idols, using the energy of the stone, the properties of plants and roots and their own strength, of course. But here is a man learned to handle metal. Do artisans a new material, the soldiers - better weapons and mages - the new attributes. First of all, a ritual knife, which for centuries used in most rituals. And most importantly, magicians have mastered a new element, learned to use the properties of the metal for their own purposes. Of course, this is not the only magical innovation. 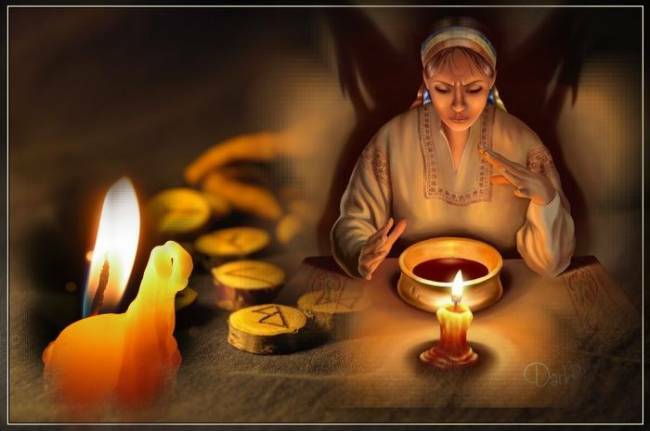 It is not hard to guess that the card (and the usual, and the Tarot), mirrors, candles and many other things that are widely used in magical and divinatory practices, there were not immediately. Although, of course, by today's standards, these items such as ancient as stone or wood. Well, let's turn to more recent discoveries. At the end of the XIX century invented the telephone, a century later came into use in personal computers. And today, many psychics advise on Skype and phone, conduct collective rites online and even have a direct magical effect on people, while in the meantime on the other side of the world. The real breakthrough in science, and magic was programming. Modern astrologers do not need to stare at the night sky and perform complex calculations: all this will make a computer program. A specialist will have more time and effort to interpret the natal chart. But this is not the limit. There are computer programs that allow you to enter an altered state of consciousness, being in which even a common man can become a shaman and a time to form the desired model of the future. Of course, there are certain risks. But is not the risk of developing an herbalist first cooking potion? On the development of magic influenced not only technical innovation, but also the opening of the human psyche. At the end of the XVIII century throughout Europe thundered name Anton Mesmer. He was called the great magician, healer, sorcerer. While in the conventional sense Mesmer was neither a psychic nor a shaman or sorcerer. Most talented hypnotist. And their success is due to the power of "animal magnetism" - energy that permeates all living things and can be transmitted from person to person. 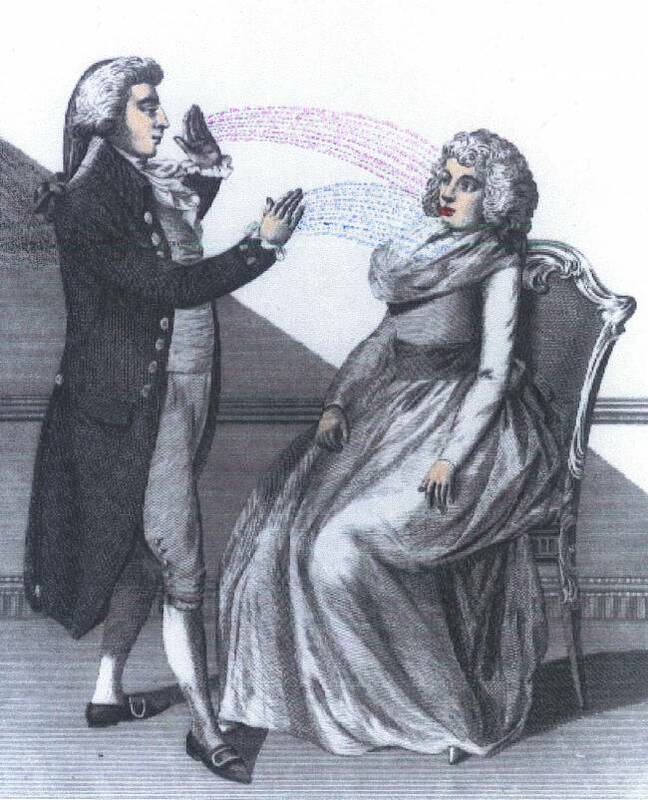 In addition, his practice Mesmer used magnetic therapy, which gave great results. Later, he took up the theory and scientists, and occultists. 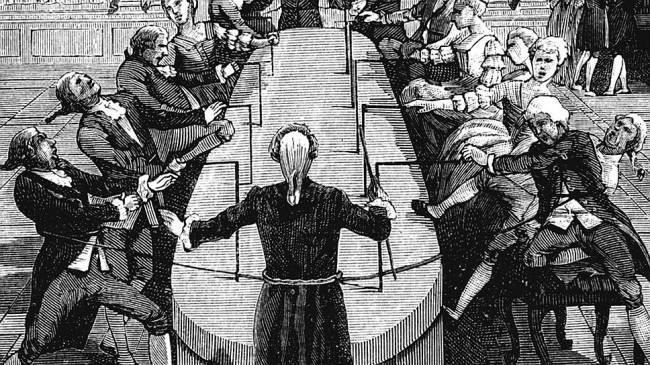 Mesmer's ideas formed the basis of magical rituals, psychological techniques and methods of alternative medicine. Since the XIX century was actively developed psychology. Opening of Sigmund Freud, Carl Jung, Alfred Adler and other famous scientists have made ​​a real revolution in psychotherapy, and in magic.Today and psychologists, psychics and use in their work methods of psychoanalysis, art work with the unconscious, methods of visualization . However, mages in this case are in a better position. For them psychotechnics - is not the only way to achieve results, but only one of the tricks to find the root cause of the problem or to accelerate the fulfillment of desire. In addition, if necessary, the psychic can always increase the effect by using the self-energy, magic rituals and talismans. In general, talking about the disappearance of magic is not correct. Of course, it has changed a lot, especially over the last couple of centuries. Maybe someone would think that magic and science were one - and it's far from the truth. Any astrologer will tell you that this symbiosis - a typical sign of the Age of Aquarius, a new era, which began recently. Look around: the farther away, the more blurred the line between science and art, culture and religion, magic and everyday life. And we are at the beginning of this path. Without a doubt, in the III millennium magic change even more. But it will not go away. Probably many have seen: every day the magic is becoming more accessible. Today does not necessarily go to the famous psychic thousand miles - enough to call him or contact by e-mail. Of course, it is very convenient. But, as always, the coin has a reverse side. Take at least a number of courses, training NLP suggestion and other methods of influencing the psyche. In fact, anyone can now master the basics of hypnosis and all sorts of Manipulative techniques - and use these skills for personal gain. On the other hand, the risk of becoming a victim of hypnosis or black magic existed at all times and only professional protection and security charms can guarantee one hundred percent safety. However, as it is now, so that in this respect, little has changed. Another thing - a virtual magic. In recent years, there are so many sites on the esoteric , predictions and other occult subjects, that the eyes diverge. 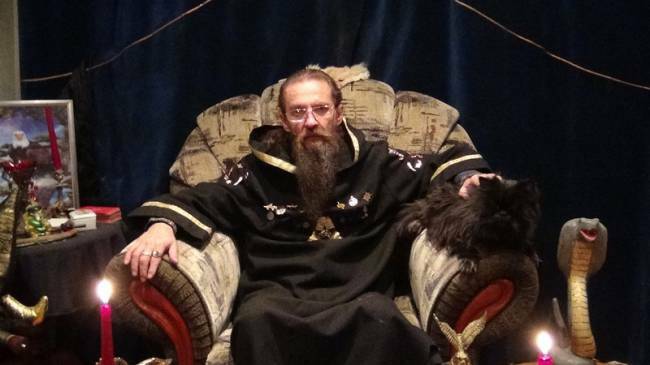 And very often the people who really need professional help to lose precious time communicating in okolomagicheskih forums, trying to imagine all sorts of rituals and spells. And well, if you just lose time. 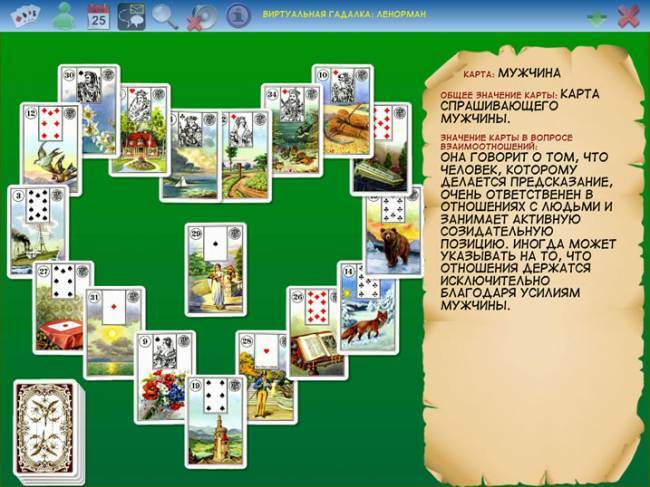 Often these games in witchcraft cause real harm. Judge for yourself: suppose a man never practiced magic, like his parents, grandparents and so on.And he suspected that his jinxed. Naturally, the magician must remove the evil eye. But where can I get it? In addition, he also will have to pay ... Maybe try to cope on their own? "Of course", - assured virtual companions in misfortune, generously sharing their own (it is possible that invented) recipes. And the person voluntarily turns into a guinea pig, begins to "magic", experiencing the ritual that one or the other. Time goes by, but nothing good happens. On the contrary, it only gets worse. And no wonder: at least people do not get the necessary assistance, and a maximum energy efficient, losing strength, attracts negative - in other words, with their own hands spoils your life. Now tell me: if he needed an operation, he decided he would have to hold it by following the instructions, subtract the Internet? That's it. For some reason, many refer to the magic completely serious, if it is child's play. And partly the cause is modern pop culture, which has put witches, wizards and psychics on the same level with wizards and elves of fairy tales. Meanwhile, real magicians do exist, including the Internet. They have their own web-sites and virtual living rooms, they give advice online and via e-mail, send out amulets and remotely remove the negative. A natural question arises: how to distinguish them from the many charlatans and fantasy fans? In general, as before: it is necessary to listen to your intuition and remember that the free cheese is only in a mousetrap. I know whereof I speak, because a few years ago she visited the virtual session magic. Nothing terrible happened to me. Just the feeling that life has come to a standstill. My husband and I no longer understand each other, at work there were no prospects. I tried to change something, but nothing worked: if I was stuck in some viscous swamp, and even I can not step to step. In general, if you know the feeling of running in circles, you'll understand. One friend suggested to enroll in a virtual consultation to the famous witch, which, according to friends, radically changed her life. So I decided to try it, though, frankly, not very much hope for success.Anyway, the session magic on Skype then seemed to me something out of science fiction. And yet our virtual meeting place. On the laptop screen's face appeared a young witch. She asked shorthand for the problem, determined that I bear the evil eye, she said looking at her, and she meanwhile says some obscure words. I remember that there was nothing special and I did not feel was ready to record this episode in a long list of his failures. However, just a couple of days or so, the first positive signs: I was offered a job that I wanted more than a year! A week later, I began to notice how the husband: if he returned seven years ago, has become as romantic, attentive, loving. And three months later, I learned that my mother will be! In general, from the former skepticism was gone. "Magicians, psychics, witches, psychics have a special gift. But otherwise we are the same people, like everyone else. It would be naive to think that we, like thousands of years ago, we live in the woods and do not know how to use a computer. Able and in some ways even better than the other geeks. Yes, with remote communication energy exchange is difficult, but it is easy to transmit necessary information. You can specify a particular person program that corrects his fate. If the problem is not too serious, it will be enough. And if someone is in urgent need of support magic, but in the near future is not possible to get an appointment with a computer or mobile phone becomes a magic wand, which allows to provide emergency assistance.Well, then, if necessary, will work in the old way. " I will not devote you into all the details of our conversation, I will say one thing: after this meeting, I have no doubt that the magic of a great future. Even in the age of high technology.